At Indian Cargo Logistics, we offer the best warehousing and transportation management solutions to our clientele. Our warehouse management solutions include the availability of best warehousing and storage services to store goods and consignments for the specific time frame. These storage services can be availed across India and are secured, spacious and waterproof to ensure complete safety of the goods stored. Furthermore, our warehouses are completely insured, making us the first choice as the logistics providers. 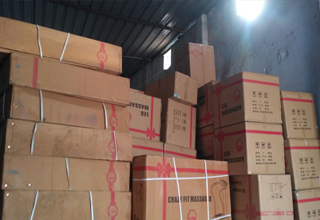 The warehouse management solutions offered by us are designed as per the leading market trends, security and guidelines, ensuring facilitation of complete services.